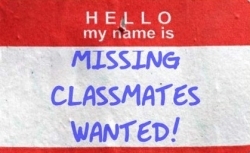 We need your help finding missing classmates! The following is the list of the graduates from Kokomo High School Class of 1986. The names in bold are classmates who do not have a mailing address confirmed with us. If you have any information about a missing classmate, please contact us. Your help is greatly appreciated!